Metal Shelving Solutions | Donnegan Systems Inc.
We offer many different kinds of shelving including metal shelving that can be used as a stand alone unit or be combined with other solutions to improve your storage space and efficiency. Our 4-post and case-type shelving units allow for ultimate customization and flexibility, along with durability, stability, and strength. Our units are universally slotted, which means that you can customize shelf heights to create a metal shelving unit that fits your needs. Four-post and case-type metal shelving are cost-effective solutions that can store virtually anything. Form and function are united in our cantilever book storage systems. The system’s elegant simplicity, its powder coated paint finish, and the optional wood trim accents enhance the heavy-gauge steel construction of the workhorse shelving system underneath. You can select units pre-configured to meet your needs, or choose individual components to create a customized shelving solution. Wire shelving can be stationary in traditional storage systems. 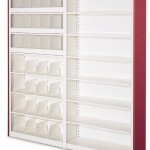 They can also be mounted on a carriage and rail system to create a high-density, compact mobile shelving system. These units are particularly useful in hospitals and other healthcare settings where sanitation and sterility are of utmost importance. 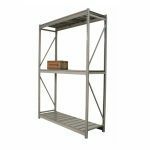 Rugged and versatile, this wide span shelving provides the perfect platform for storing a variety of heavy and bulky items. 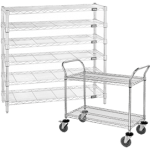 Designed to work in static applications as well as seamlessly integrate with our wide range of industry-leading mobile systems, this shelving’s wide range of standard and configured sizes make it possible to build a custom shelving system for your needs. 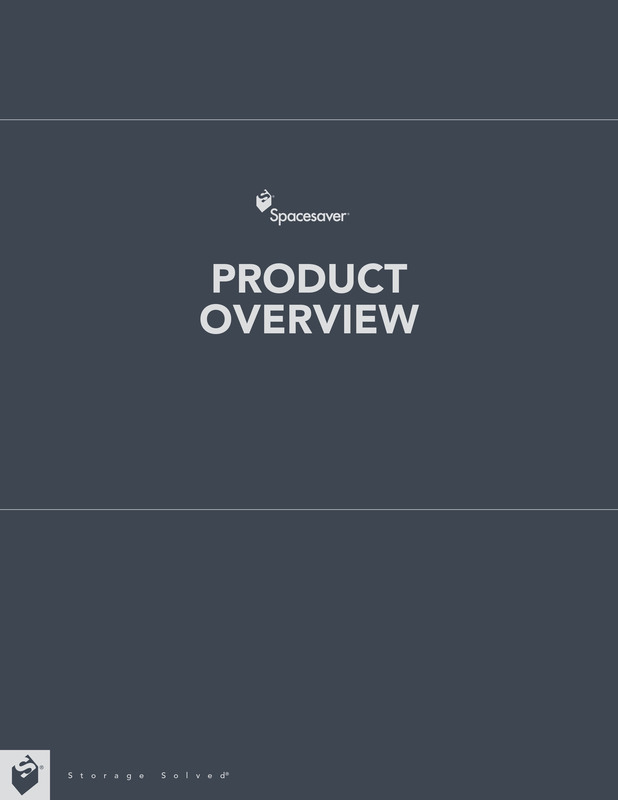 Download our Product Overview Brochure to see how our storage systems can help store your items in a more protected and efficient way.